Vocation of a Business Leader – Based on the document of the same name promulgated by the 2014 Pontifical Council for Justice & Peace, Omar presents on how the Church’s Social Teaching regards leadership in business as a vital vocation for our time and on what the “logic of gift” can mean for all of us involved in economic exchanges. 30 minutes long. No slides. Economics and a Social Catholicism – What does the Church teach about economics in general and how can that be applied to what business leaders are called to do today? Omar Gutierrez presents on what the Church has taught about economics in the past and on how, with the rise of socialism in Europe, the Church’s leadership and laity responded. Using concrete examples from the hierarchy and lay business owners, listeners have been inspired to live out their Catholic faith in concrete action for the common good. Rome Beneath the Surface – Can’t get to Rome? Then have Omar lead you through the discovery of the catacombs under Rome. Listen as you tells about the intrigue and the wonder that surrounds the archeological evidences of our faith. 1 to 1.5 hours in length. Lots of photographs and pictures. Revolution: Pope Leo XIII and Rerum Novarum – Pope Leo XIII ushered in a new form of teaching, modern Catholic Social Teaching. Learn how it all began with Rerum novarum. Omar tells about what was going on at the time and provides a walk through the document, explaining some of the principles of Catholic Social Teaching. Introduction to Catholic Social Teaching – Based on the Compendium of the Social Doctrine of the Catholic Church, Omar presents his five points of Catholic Social Teaching. Rooted in relationship with Christ Jesus, the presentation integrates history, doctrine, and a spirituality of the Social Teaching that is applicable to every-day life. From Suffering to Sacrifice – Christianity is a unique faith that holds its founder is God, a God who suffered and died for us. This theology which is so particular to our faith changes how we ought to view suffering and pain and helps to answer how it is we “make sense” of the suffering of innocents. 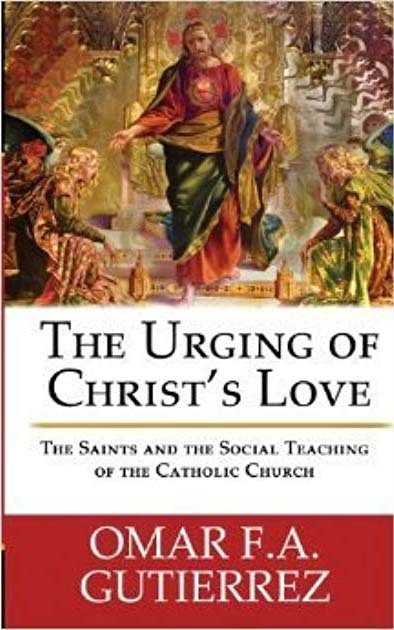 Based on his book “The Urging of Christ’s Love” Omar presents the case for the Christian faith and the tells the stories of Blessed Franz Jaggerstatter and St. Germaine Cousin of Pibrac who both teach us how to hope in the midst of suffering. 1 hour long. No slides. The New Evangelization and Catholic Social Teaching – What can’t we seem to get along when we talk about Catholic Social Teaching, and how does this get in the way of our work as new evangelizers? Omar offers his perspective on the challenges in our time and a solution to begin to approach the teaching differently.